Alabama and Arkansas step up to invest in transportation infrastructure. Over time, the cost of most things goes up – food, clothing, rent. According to the U.S. Bureau of Labor Statistics and their Consumer Price Index (CPI), it takes about $1.25 today to buy what $1 would get you in 2006. ﻿If the gas tax was still indexed for inflation using CPI, it would be about 8 cents higher today. This is right around the amount of increase the governor is proposing in his budget. As a result, the amount of user fee dollars needed to service the debt grew. And the negative cycle began. Read more. 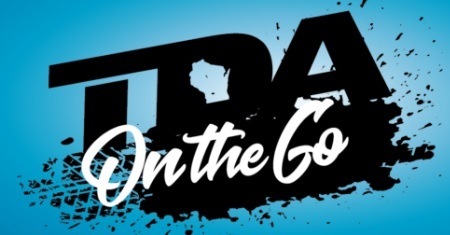 TDA's latest episode of its "On the Go" podcast, hosted by Executive Director Debby Jackson, examines Governor Tony Evers' budget proposal. ﻿Listen to this episode here . 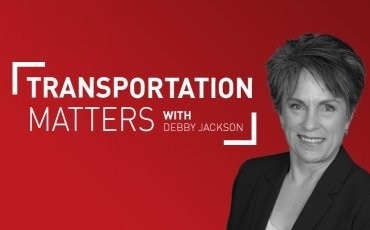 In the next episode, Debbie Schwerman from the Wisconsin Asphalt Pavement Association and Jackie Spoor from the Wisconsin Concrete Pavement Association explain the larger issue behind potholes. Wisconsinites know transportation is important to the state’s economy. 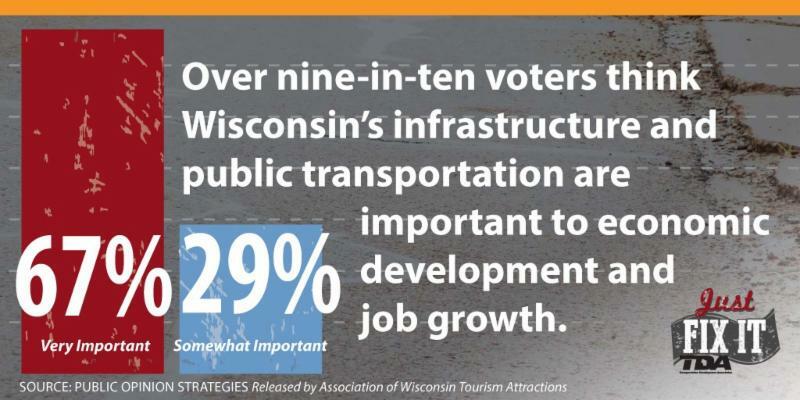 In a recent poll released by the Association of Wisconsin Tourism Attractions, more than nine-in-ten voters think Wisconsin’s roads, bridges, and public transportation are important to economic development and job growth. In that same poll, the majority of respondents said roads have gotten worse over the last five years, and three quarters of voters support increasing the state’s transportation fund to make local and statewide improvements. We have a tool that makes it simple to contact your legislators today and urge them to support a sustainable, long-term plan for Wisconsin transportation funding - click here to get started. The Journal Times (Racine) editorial board gets straight to the point about the need to find a "road to agreement" with the governor's proposed state budget plan: "The state budget battle will heat up considerably ... a good place to find agreement and start that conversation is with Wisconsin’s transportation needs, where there are already some shared ideas between Democrats and Republicans." Read the entire column here. A recent editorial in The La Crosse Tribune (March 10, 2019) sums up Wisconsin's transportation challenge: "deteriorating roads and an unsustainable revenue plan that can’t keep up with basic maintenance needs." Read the full editorial here. The Wisconsin State Journal (March 3, 2019) published an editorial that includes commentary on Gov. Tony Evers' "strong priorities" in his state budget proposal, including the idea that "Wisconsin should welcome greater commitment to better roads, following years of neglect and excessive borrowing." Continue reading the editorial here. The Racine Journal Times (March 13, 2019) reports that the Milwaukee to Chicago Amtrak Hiawatha trains served a record of more than 858,000 passengers in 2018 - a 3.6 percent increase over 2017. Ridership has more than doubled since 2003 when the service began providing seven daily round trips. Read the story here. The Alabama State Senate approved legislation that will eventually generate more than $300 million a year in additional transportation infrastructure investment. Senators agreed to increase Alabama’s fuel tax by 10 cents-per-gallon, phased in over three years and then index it to the National Highway Construction Cost beginning in 2023. In addition, the law imposes a new annual registration fees of $200 for electric motor vehicles and $100 for hybrid motor vehicles. The tax increases are part of the governor’s $300 million highway program that also includes a constitutional amendment that will be on the ballot in November 2020 asking voters to permanently extend a half percent sales tax that will expire in 2023. Michigan Gov. Gretchen Whitmer's first executive budget will propose phasing in a 45-cent per-gallon fuel tax increase to "fix the damn roads." Illinois is considering a proposal which would increase infrastructure investment by $2 billion annually. State Sen. Martin Sandoval said motorists should expect a push to double the state’s gas tax from 19 cents a gallon to 38 cents. An amendment to Senate Bill 103 would also increase the annual vehicle registration fee by $50 and $130 more for electric vehicles. The Ohio Senate voted for a transportation budget containing a 6-cent gas and diesel tax hike - much less than the 18-cent hike Governor DeWine wanted and less than the 10.7 cents that the Ohio House passed earlier this month. DeWine's version of the transportation bill would have raised roughly $1.2 billion annually for maintenance on Ohio's struggling road, bridge and highway systems. Ohio's gas tax is currently 28 cents and has been at that level since 2005.